We install commercial aluminum and all glass entrances. 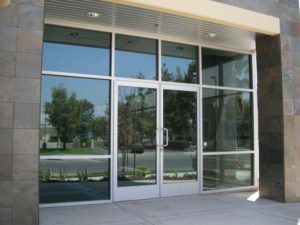 When you need to create a dramatic point of entry or match the architectural detail of a building, we can fabricate narrow, medium or wide stile doors finished to your specifications. Custom, big or small we have the expertise and man power to make your entryways a reality.